Canaan Fair Trade, established in 2004, is located in the picturesque village of Burqin in the Jenin district of the northern West Bank. In a short time since its inception, Canaan has quicly established itself as a major exporter of organic olive oil from Palestine, by promoting high quality products and upholding fair trade practices to benefit small-scale famers. 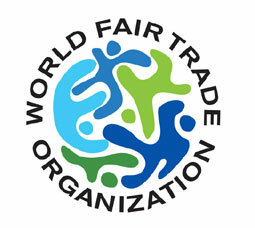 Canaan works in partnership with Palestine Fair Trade Association (PFTA), an umbrella body for the olive cooperatives. Canaan and PFTA provide income-generation opportunities for family farmers who strive for a diginified living despite the numerous challenges under the military occupation, such as land confiscation, restriction of movement, violence and harrassment by Israeli settlers and army. Canaan guarantees a fair price to farmers, and ensures the high quality standard by managing the processing, packing, and branding. It provides workshop and information on fair trade, organic farming, and quality standards for the farmers. It also runs community-based projects such as the Trees for Life (tree-planting), Canaan Scholarship Fund (for farmers' children), and micro-loans. In addition to supporting Palestinian farmers economically and socially, Canaan works to sustain the farming heritage of this ancient and fertile land. Owning to the traditional farming and harvesting heritage, Palestine's olive is naturally organic and produces a uniquely flavorful oil. Canaan strives to promote this symbol of Palestinian heritage and future in the international market through numerous fair trade distributors. In the fall of 2008, Canaan opened a state-of-the-art processing facility in Burqin, which will further develop their operation and serve as a gathering place for farmers and international supporters of Palestinian fair trade products.